The rent at Amberwood Apartments ranges from $2,340 for a one bedroom to a $3,495 three bedroom. Apartments in this building are about as expensive as the The Woods average. Amberwood Apartments is a one minute walk from the Limited Limited and the Local Local at the Capitol Caltrain stop. This apartment is in the The Woods neighborhood in San Jose. 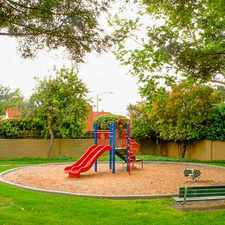 Nearby parks include Parkview III Park, Parkview I Park and Parkview II Park. Amberwood Apartments has a Walk Score of 52 out of 100. This location is Somewhat Walkable so some errands can be accomplished on foot. With its attractive clustered buildings and beautiful landscaping, Amberwood Village provides a combination of privacy and relaxing open space. Amberwood Village residents enjoy easy access to reserved covered parking, centrally located laundry facilities and club-style amenities including a large swimming pool and hydrotherapy spa and a state of the art fitness center. Choose a cozy studio, 1, 2 or 3 bedroom apartment home or a charming two-story townhouse plan. All residences include large patios or balconies that provide outstanding views of the magnificent park-like grounds with mature trees and tranquil ponds. Apartments at Amberwood Village include air conditioning, superbly appointed kitchens with dishwashers, separate dining areas and a choice of walk-in or dual closets in master bedrooms. Explore how far you can travel by car, bus, bike and foot from Amberwood Apartments. Amberwood Apartments has good transit which means many nearby public transportation options. Car sharing is available from RelayRides and Getaround. Amberwood Apartments is in the The Woods neighborhood. The Woods is the 190th most walkable neighborhood in San Jose with a neighborhood Walk Score of 48. Moving to San Jose from another city? View our moving to San Jose guide.